Bath Road is the central hub for this part of Cheltenham. With its wide variety of shops and restaurants, it has a thriving community feel that attracts a wide range of visitors from the larger town. 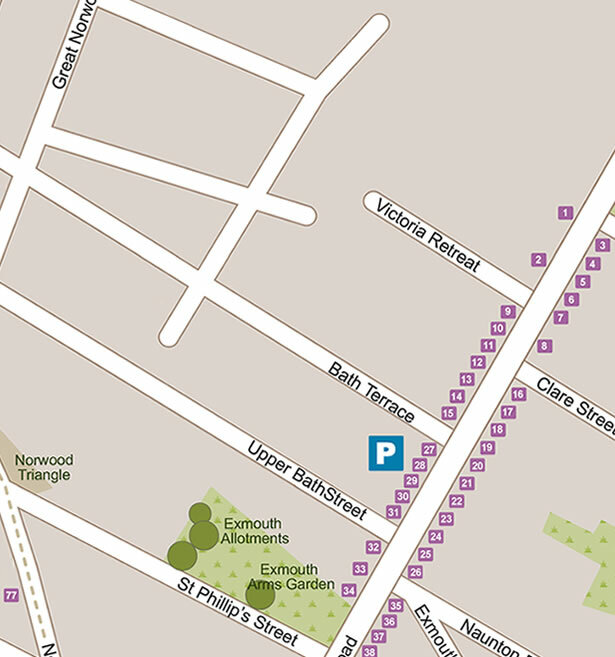 For those coming by car there is a large ‘pay and display’ car park at Bath Terrace. 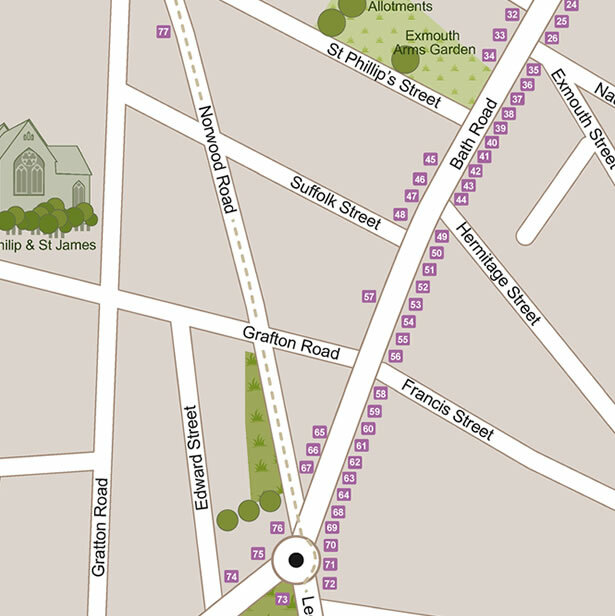 There are five pubs, and both the Exmouth Arms and the Norwood Arms have gardens. ​At first named the New Bath Road, and enabled by an Act of Parliament in 1813, this was originally a turnpike, or toll road, with numerous side gates leading off. The road ran from Cambray via Bath Street to Leckhampton, and then via Shurdington and Painswick to Bath and it wasn't fully open until 1822. The final connection of today's Bath Road, from Bath Street to the High Street, was not completed until 1854 and necessitated the demolition of some of the buildings in the High Street. Development of the houses and shops was gradually completed during the 19th century and many of the shops were extended over the then existing front gardens. To read the histories, either click on the business name below or on the numbers on the map. Please note that not all businesses have histories yet, as this is a work in progress. If you have any memories or historical information you would like to share via this website, please get in touch via our Contact page. 76. Peter Ball & Co.